Don't let the corporate fascist plan to pit us against each other work. Defeat their cynical plan by coming together. Today in Warsaw, Poland was the first day of the No to War, No to NATO conference and demonstration to protest the NATO Summit being held here and suggest alternatives to militarism. I am here as a Global Network representative on the organising committee. Warsaw is a beautiful city which has been restored after being totally destroyed by Nazi troops during the Warsaw Uprising in August 1944. A post-war five-year reconstruction campaign by Warsaw citizens restored the churches, palaces and market-place of the Old Town. I walked through there with Pascal, Amela and Juliana - three great friends who are part of the impressive team from Berlin helping to organise the conference. There was a large police presence in the city and key roads were closed all day in order that the delegates to the NATO Summit could speed along them in their fast chauffeur driven cars without being delayed by the presence of people. 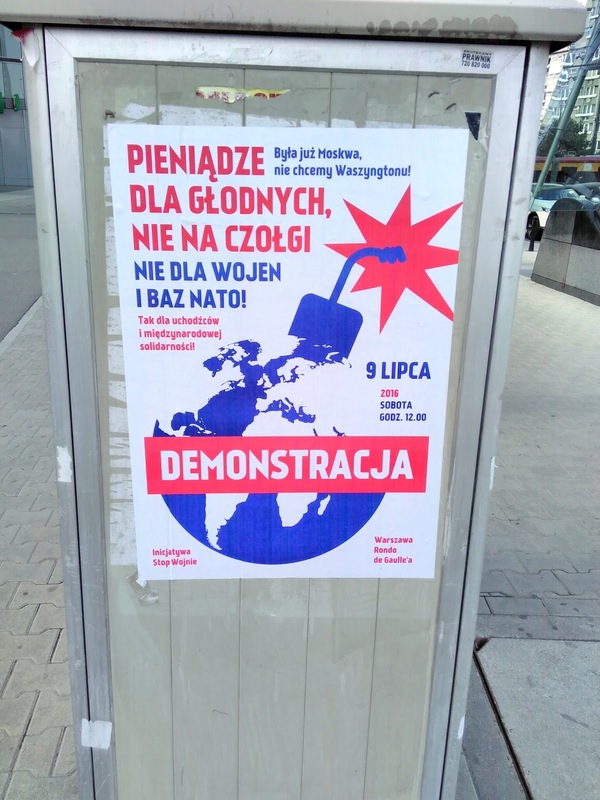 In Poland people are generally favourable to NATO as they believe (or have been told) that it will keep Russia away, and so we weren’t sure how many people might turn up. In the end it was a great success – around 150 people came with representatives from 15 countries. The conference was opened by Reiner Braun and the first session invited a number of people to speak on “Why we are against Militarism”. Speakers included myself and activists from the US, Belgium, France, Germany and Eastern Europe. It was only two days after the release of the Chilcot Report on the Iraq War in the UK and its damning indictment of Tony Blair and the British government – it was mentioned a number of times! Many alternatives to NATO were outlined and NATO’s aggressive and expansionist policies were widely condemned. In the afternoon there were a series of workshops and I spoke at one on nuclear weapons, missile defence and space weapons. Other speakers were Jan Majicek from the Czech Republic who spoke on the development of missile defence in Eastern Europe and Lucas Wirl from Germany who spoke about the recent demonstration at the huge US military base at Ramstein in Germany – the HQ of US Air Forces Europe. On a rainy day in May around 5,000 people joined that demonstration and surrounded the base to protest its role in drone operations and HQ for US/NATO missile defence systems in Europe. Also in our workshop we had Ann Wright, former US Army Colonel and diplomat who resigned in protest at the Iraq War. She told us of her experiences in the Pacific region – on Jeju Island and Okinawa in particular. There were also a number of activists from Belgium who told us of the situation there regarding the US nuclear weapons they host for NATO. I also told people about the GN’s work on the militarisation of space and of our up and coming meeting in India [November 18-20]. Tomorrow we have the march and demonstration and the final session of our conference is on Sunday morning. The Samgeori Area will face demolition soon. The government is to demolish the protest community kitchen, the watchtower, and the 10 containers where people live. The reason of the demolition is to build a 4 lane entry road to the cruise terminal which is planned to be constructed at the western tip of the base by next year. Since Samgeori, the entrance to the sacred Gureombi Rock, was fenced off in 2011, the tent kitchen and the watchtower were built in Samgeori by the villagers. The community kitchen has provided free meals to activists and visitors both domestic and international's alike. It is a spiritual pillar of our struggle, since it has been a place of gathering in sharing meals through our continuing struggle. The containers also help to keep the space from the Navy's occupation. How to preserve Samgeori and it's spirit? This is what we are currently struggling with. Will was in Gangjeong village last December with the VFP delegation that spent a week there and then another week in Okinawa. Will has just arrived for a couple month solidarity visit to Korea. We are republishing two linked Katehon articles on Poland. The first, by Mateusz Piskorski (translated by Jafe Arnold), NATO will suppress protests in Poland, is followed by Katehon’s account of the reprisals Polish special services have launched against NATO opponents. On May 18th, 2016, the well-known Polish politician Mateusz Piskorski was arrested on charges of spying for “third countries.” Shortly before, he wrote an article that predicted the beginning of mass political repressions against NATO opponents in Poland and Europe as a whole. He was right. Predictions concerning the upcoming NATO summit in July in Warsaw are beginning to clearly indicate that today the alliance’s goal is first and foremost preventing the emergence of social movements demanding the liberation of Europe from underneath the tutelage of the United States. As can be seen, the Financial Times’ inadvertent [?] publication of the words of one of the Polish Army’s senior commanders show just what decisions can be expected this summer. These are decisions which completely undermine not only the sovereignty of Warsaw in the field of foreign policy, but also clearly speak to the fact that from this moment on NATO is supposed to be a police force ready to participate in the pacification of eventual social protests or intervene in the affairs of domestic Polish politics. The actual intentions of the alliance’s latest decisions were revealed honestly and in a frankly military way by Brigade General Krzysztof Krol, the commander of the Multinational Corps Northeast. The issue under consideration was the concept of the so-called NATO spearhead advocated for years by the Americans and longed for by the Polish politicians of both the former and current government. Let us give the floor to the general: “The VJTF (Very High Readiness Joint Task Force) is to deal with Article 4 situations [of the North-Atlantic Treaty] and that is our intention with it.” Article 4 speaks of cooperation and consultation between member states which cannot be described as in article 5 as experiencing armed aggression against any of them, but rather subjective feelings of para-military threats. What kind of situations are we dealing with here? General Krol leaves no doubt: “The plan was developed to react to hybrid threats in our area of operation. Our plans are scaleable to the situation,” he told the Financial Times. The concept of hybrid war or hybrid actions has blossomed as a definition of the activities of Russia following the Ukrainian revolution of 2014. But what is interesting is that to this day it has not attained any unambiguous academic interpretation and various authors and experts define its scope in different ways. In The Financial Times, however, we read that the NATO spearhead has the right to take action in the case of the destabilization of the international situation in the country triggered by, for example, public protests. What does this mean in practice? Any internal disturbance could be treated and presented by native as well as American “spearheadologists” as part of the activities vaguely defined as hybrid war. This might lead to the case in which protests against the effects of the TTIP Agreement supported by the Polish state could be treated as “hybrid activities.” Poles’ protests against crimes committed by US Army soldiers stationed in Poland could also turn out to be “hybrid war.” Antoni Macierewicz’s sick imagination could suggest dozens of different theories. After all, the current defense minister is so divorced from common sense that he believes that Radoslaw Sikorski, another pro-American hawk, is actually working for Moscow. Social unrest, protests, strikes, attempts to form information resources independent from the establishment, demanding transparency in the defense and foreign policies of the Polish authorities – all of these could become pretexts for one or another swing into action of advisers from NATO (mainly from the USA), who would provide “brotherly aid” to the Polish units and services subordinated to them. In this situation, all that is left is to hope that officers and officials will not want to stay in an “oral relationship” (the colorful expression of Sikorski) with their American overlords, will remind themselves of the dignity of the Polish uniform, and send all those representatives of foreign interests “concerned about our security” far back across the Atlantic Ocean. Meanwhile, we have been left with one thing: to loudly protest and by all law-abiding means block the realization of NATO’s plans which it will announce in July in Warsaw. It is also worth organizing a social movement for Poland’s exit from this pact as a condition of gaining elementary state sovereignty and a real sense of security. A witch hunt is in full swing in Poland. The country’s repressive organs have arrested the well-known politician and leader of the party Zmiana (Change), Mateusz Piskorski. Piskorski was charged with spying for “third countries” as pro-government media accused him of working for Russian and Chinese intelligence services. Piskorski’s arrest followed his warning that the Polish government is “cleaning” the political space of the country of unwanted elements in the run-up to the NATO summit in Warsaw to be held on July 8th-9th, 2016. The members of the Change party are currently being searched. The Polish Internal Security Agency has seized the documents, personal computers, and cell phones of party members. Mateusz Piskorski, former deputy of the Polish Sejm for the party “Self-Defense of the Republic of Poland”, founded Zmiana in 2015. The backbone of the party consists of activists from both left and right-wing anti-liberal political structures who decided to act together against liberal hegemony in support of traditional values, Polish national identity, and social justice. Piskorski’s party managed to transcend the “left-right” division and establish a consolidated anti-liberal political force. Undoubtedly, one of the purposes of the repression against Zmiana was destroying this dangerous ideological enemy of the pseudo-conservatives of the ruling Law and Justice party. Another reason for the repression against Zmiana is its anti-Atlanticist geopolitical position. The party and its leader are in favor of the restoration of Poland’s sovereignty, stand against the Republic of Poland’s membership in NATO, and have criticized the transformation of the country into an American colony which is being dragged into a possible confrontation with Russia. Piskorski and fellow activists visited Russian Crimea, where they participated as observers of the referendum on Crimea’s self-determination, and supported the peoples republics of Donbass against the Bandera regime in Kiev. Mateusz Piskorski is one of the leaders of the European Center for Geopolitical Analysis, a Euro-continentalist think thank. Zmiana is not the only anti-Atlanticist structure which has endured repressions in Poland. Recently, anti-NATO activists of the Communist Party of Poland and the Grunwald Patriotic Workers’ Union were sentenced to “restricted liberty” for the “promotion of totalitarianism.” The repressions ongoing against Zmiana are mass-scale and grotesque, and simultaneously remind one of the political processes of totalitarian regimes from the ’30’s of the last century or the American witch hunt of the 1950’s. Poland has been transformed into a front line for the NATO-Russia confrontation. An additional contingent of NATO troops has been deployed to the country and part of the US missile defense system’s launchers, which can be used to house medium-range, nuclear-warhead missiles aimed at Russia, is planned to be placed in Poland. From the point of view of US strategists, Poles are expected to ensure the strengthening of American influence in Belarus and Ukraine. NATO military analysis are not embarrassed to talk about a possible military confrontation between NATO and Russia in which Poland would take part. The totalitarian repression against anti-Atlanticist forces in Poland anticipates the West’s further deterioration of relations with Russia. The chances of a new conflict (either a hybrid war or direct military clashes) on the territory of Ukraine or in the northwest of Russia have been evaluated as very high. Violence in America - Who Should be Surprised? You reap what you sow. What goes around comes around. America was created by violence. Violence is woven into the very fabric of our divided nation. Pull any thread and blood flows. It appears to me that the American experiment is over. Capitalists who control the US don't really need us anymore as they are maximizing profits internationally - cheaper labor can be found overseas. Disinvestment in America has been going on for the past 30-40 years as the corporate oligarchy has moved their $$$$ and jobs out of the country and the government (under corporate direction) has slashed spending on human needs and vital infrastructure. So the nation is falling apart. Knowing that at some point the public would rebel against all of this the local police have been militarized to look like the Pentagon. Many local police departments have been trained by the Israeli military in occupation tactics that were refined during the long and brutal occupation of Palestinian lands. Hollywood for the past 30 years or so has increasingly ensured that upcoming generations have been fed a steady diet of non-stop grotesque violence on TV and in the movie theaters. The federal government has kept the nation in a succession of endless wars that has further militarized our culture, the economy, and the public consciousness. The nation now reeks of violence to the point that daily episodes of mass shootings and police killings of innocent people take place. At some point we know that the rubber band will snap and there will be a response from the public. Several police just shot in Dallas....how ironic that the city where the CIA's assassination of our beloved President John F. Kennedy happened then becomes the place where this sad reaction to unrestrained police violence occurs. The oligarchy does not want the American people to collectively realize that our real enemy is the corporate criminal syndicate that is currently destroying our country. Better that races are pitted against one another in a new version of American civil war. Who should be surprised that America has descended into such violence? Violence is at the very core of our nation - we live it and breath it. In our recent July 4 parade here in Bath, Maine one of the floats was a giant model of a US Navy aircraft carrier. The crowd cheered as it was towed along by a truck. It represents the largest manifestation of 'forward deployed' American muscle and violence imaginable. When we do violence against others it is seen as noble and about 'freedom and democracy'. When the guns get turned inward people become confused and angry. The chickens have come home to roost. America - created by extreme violence against the Native Americans and hundreds of years of brutal slavery - is now coming apart at the seams. If we truly want to end this mad race to hell we must begin pulling back the US military empire of 1,000 bases around the world and de-escalating our local police forces. We should also take back control of our government from the corporate oligarchy. Use our tax dollars for human development and things will change for the better. It is all about choices we make - and particular choices have consequences. Bernie Sanders is dancing around. His ‘revolution’ does not have an organizing committee that is accountable to the public… his voters. He’s trying to cut deals inside the White House and halls of Congress. What are the deals? Who gets to decide during negotiations? How does a report back to the public happen? Does Bernie get to make all those decisions? Should not happen that way. This is a teaching moment here. What happened to the Baby Boomers – they know better than to go along with all this. But they largely bombed out. They generally bought the material line - gave up on the vision of the Indians and the Hippies. Many of them thought Obama represented the epitome of their generation – peace, freedom and respect. He betrayed his followers who were comfortable with his ‘style’, but couldn’t be bothered with his recycled Bush agenda. Fortunately for all of us there are still some grey-haired special people out there pushing hard. Our future, the kid’s future, is on the line. The sacred ball of life has rolled up to our feet – do we grab it in time? Gen X, the Millennials, the XYZ-family…. Mr. Big hands us all a name and a script - written and approved by the FBI, CIA, Hollywood, Madison Avenue, Homeland Security, the Pentagon, and those inside the dark halls of corporate HQ in Washington. The world is crashing toward final war. Can you feel it? Burnt and blistered afterwords we’d wish we got off our asses more and into the fight to help take back our sacred right to be human – to love and feel a special link to community and the earth. So now we must move from fear toward hope which comes from the light of truth, faithfulness, and love. It's our only chance. Don't let Mr. Big's minions divide us again. We need one another. The UK, the US, Canada and Germany will lead four battle groups to be based in Poland and the Baltic states. Diplomats say the troops will be a deterrent to Russian aggression by acting as a “tripwire” that would trigger a full response from the alliance if necessary. On June 12 the foreign minister of Germany, Frank-Walter Steinmeier, condemned Western “sabre-rattling and war cries”. He said, “Anyone who believes the symbolic tank parades on the Alliance’s eastern border will increase security is wrong”. It is the breaking of this promise that, more than any other one thing, has fuelled the resurgence of hostile Russian opinion against the West and prompted President Vladimir Putin to become increasingly determined to put the West in its place. Now with this move the Russians, understandably, are livid. There are a number of scholars and politicians from that era, including President H.W. Bush’s secretary of state, James Baker, who did most of the negotiating at that time with the Soviet president, Mikhail Gorbachev, who have since tried to re-write history and say there were no promises made. But neither Baker nor the scholars can deny – and they do not try to – that in Moscow, on February 9th 1990, Baker told Gorbachev that “there will be no extension of NATO’s jurisdiction or NATO’s forces one inch to the East”, if Gorbachev agreed to German reunification. To reinforce this message the next day the West German chancellor, Helmut Kohl and the foreign minister, Hans Deitrich Genscher offered the Soviet leaders similar terms. Later Baker confirmed publically at a State Department press conference that he agreed with Genscher. The US ambassador to Moscow at the time, Jack Matlock, who was in the room with Gorbachev and Baker, confirmed these words were said by Baker to Gorbachev. But revisionist scholars have tried to obfuscate this understanding. It has been argued that US leaders saw these terms as being raised “speculatively” as part of an ongoing negotiation and far from a final deal. Thus the US was free to revise the offer and Gorbachev was made no final promise. This is as Machiavellian an interpretation as one could dream up. Common sense suggests that Gorbachev was not going to radically revise 45 years of East German and Soviet history without a very big quid pro quo. Since no other subject was on the table it is obvious that there was a quid pro quo and this was it. Say no more. One scholar, Mary Sarotte, writes that the Soviet leaders failed to obtain “written assurances” against NATO expansion. That is right. But why should Gorbachev demand them when the Cold War was coming to an end so amicably and the widespread feeling was that there would never be enmity again and that the Soviet Union would become close to Nato, and maybe even seek future membership of it? There is another political “scandal” from that period. “In July 1990 Baker stated that a revamped CSCE (Conference on Security and Cooperation in Europe) which had Soviet membership would provide a ‘half-way house’ for those countries who want out of the Warsaw Pact but can’t join NATO and the European Union”. Somewhat paradoxically, Baker did not want to see a CSCE that overshadowed NATO. By October 1990 detailed discussions about the future expansion of NATO were underway in the State Department, albeit with the belief this would only happen if the Soviet Union behaved “badly”. Contradictorily, the State Department in an internal study on NATO wrote that “we are not in a position to guarantee the future of these Eastern countries and do not wish in any case to organize an anti-Soviet coalition whose frontier is the Soviet border. Such a coalition would be perceived very negatively by the Soviets and could lead to a reversal of current positive trends in Eastern Europe”. Over the last 25 years an anti-Soviet/Russian coalition is what evolved and that is why Russia has ended up confronting the West. ~ Jonathan Power is a columnist, film-maker and writer. For the first ten years after graduate school his community work was in slum neighborhoods in Chicago and London. Power worked for Martin Luther King from 1966-1967. He was a columnist for the International Herald Tribune from 1974-1991; he has been a regular guest columnist in New York Times and Encounter. Russian Foreign Ministry Spokesperson Maria Zakharova interviewed by In the Now about war. Tracking chips to be swallowed or planted under your skin. These mad pirates are going to sell this by making it 'cool' and everyone wants to be cool - right? If you are an activist involved in rebellion against the oligarchy they could just turn you off and you'd be without money, food, and ability to survive. You could be tracked night and day. It's the perfect way to make all humans slaves to the corporate system. Are you gonna swallow this one? In a display of unpardonabley bad conduct, the Chilean people elect Salvador Allende president. Another president, of the International Telephone and Telegraph Corporation, offers a million dollars to whoever can put an end to this disgrace, while the president of the US earmarks ten million for the affair. Richard Nixon instructs the CIA to prevent Allende from sitting in the presidential chair; or, should he sit, to see that the chair doesn't stay under him long. General Rene Schneider, head of the army, rejects the call for a coup d 'etat and is struck down in an ambush: "Those bullets were for me," says Allende. Loans from the World Bank and all other official and private banks are suspended, except those for the military. The price of copper plummets. From Washington, Secretary of State Henry Kissinger explains: "I don't see why we should have to stand by and let a country go Communist due to the irresponsibility of its own people." 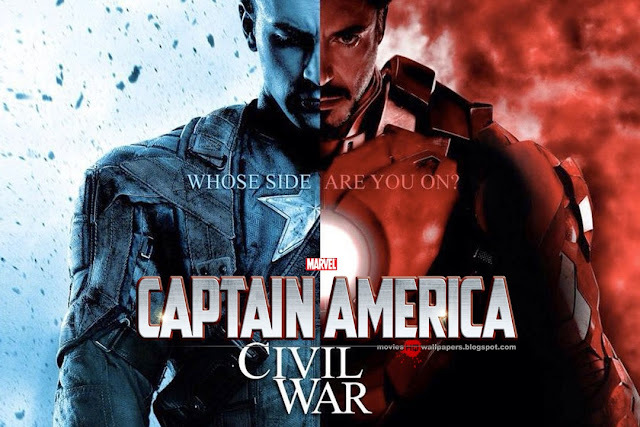 "What is the main enemy? The military dictatorship? The Bolivian bourgeoisie? Imperialism? No companeros. I want to tell you just this: Our main enemy is fear. We have it inside us." This is what Domitila said at the Catavi tin mine, and then she came to the capital with four other women and more than twenty kids. On Christmas Day they started their hunger strike. No one believed in them. Some thought it a ridiculous joke: "So five women are going to overthrow the dictatorship?" The priest Luis Espinal is the first to join them. In no time there are fifteen hundred people starving themselves all over Bolivia. The five women, accustomed to hunger since they were born, call water chicken or turkey and salt pork chop, and feed on laughter. 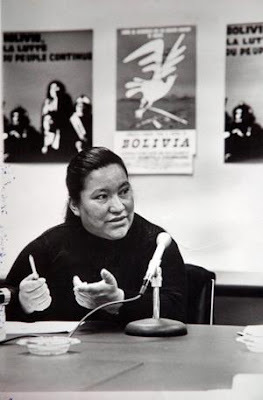 Meanwhile the hunger strikers multiply - three thousand, ten thousand - until the Bolivians who have stopped eating and working can no longer be counted, and twenty-three days after the start of the hunger strike the people invade the streets, and now nothing can be done to stop them. The five women have overthrown the military dictatorship. Nicaragua and other insolent countries still act as if unaware that history has been ordered not to budge, under pain of total destruction of the world. "We will not tolerate..." warns President Reagan. Above the clouds hover the nuclear bombers. Farther up, the military satellites. Beneath the earth and below the sea, the missiles. The Earth rotates because the great powers permit it to do so. A plutonium bomb the size of an orange would suffice to explode the entire planet, and a good-size discharge of radiation could turn it into a desert populated by cockroaches. President Reagan says Saint Luke (14:31) advises increasing military funding to confront the Communist hordes. The economy is militarized; weapons shoot money to buy weapons to shoot money. They manufacture arms, hamburgers, and fear. There is no better business than the sale of fear. The president announces, jubilantly, the militarization of the stars. Straight talk on international affairs from Sheikh Imran Nazar Hosein. Sheikh Imran Hosein was born on the Caribbean island of Trinidad in 1942 from parents whose ancestors had migrated as indentured labourers from India. He is a graduate of the Aleemiyah Institute of Islamic Studies in Karachi and has studied at several institutions of higher learning including the University of Karachi, the University of the West Indies, Al Azhar University and the Graduate Institute of International Relations in Switzerland. He worked for several years as a Foreign Service Officer in the Ministry of Foreign Affairs of the Government of Trinidad and Tobago but gave up his job in 1985 to devote his life to the mission of Islam. He lived in New York for ten years during which time he served as the Director of Islamic Studies for the Joint Committee of Muslim Organizations of Greater New York. He lectured on Islam in several American and Canadian universities, colleges, churches, synagogues, prisons, community halls, etc. Imran Hosein also participated in many inter-faith dialogues with Christian and Jewish scholars while representing Islam in the USA. He was the Imam for some time at Masjid Dar al-Qur'an in Long Island, New York. He also led the weekly Jumu'ah prayers and delivered the sermon at the United Nations headquarters in Manhattan once a month for ten years continuously. He is a former Principal of the Aleemiyah Institute of Islamic Studies, Director of Research of the World Muslim Congress in Karachi, Pakistan, Director of the Islamic Institute for Education and Research in Miami, Florida, and Director of Dawah for Tanzeem-e-Islami of North America. He has traveled continuously and extensively around the world on Islamic lecture tours since graduating from the Aleemiyah Institute of Islamic Studies in 1971 at age 29, and he has also written more than a dozen books on Islam. For a long time after I came home from the war, fireworks made me jumpy. They sounded like what they are, shrieking rockets and exploding gunpowder, and every Fourth of July set off Alert Level Yellow. I’d crack another beer and try to laugh it off even as the friends I was with turned into ghosts of the soldiers I once knew. Thirteen years ago, I spent the Fourth of July on the roof of a building in Baghdad that had once belonged to Saddam Hussein’s secret police. Our command had suspended missions for the day, set up a grill and organized a “Star Wars” marathon — the three good ones — in an old auditorium. But George Lucas’s lasers couldn’t compete with the light show playing out across Baghdad, and watching a film about the warriors of an ancient religion rising up from the desert to fight a faceless empire seemed, under the circumstances, perverse. So instead of “A New Hope,” I watched scenes from Operation Iraqi Freedom: tracers, helicopters, distant explosions in a modern city under an increasingly senseless occupation. I could see the United Nations compound that would get bombed later that summer. I could see the memorial to the soldiers who had died in the Iran-Iraq war of the 1980s, a giant turquoise teardrop sliced in two. I could see Sadr City, the wire-crossed slum that would give birth to Shiite death squads, and the Green Zone, where American proconsuls forged a new Iraq. I was a Bicentennial baby, born in 1976; “Star Wars” was the first movie I saw, strapped in a car seat at the drive-in. The film must have implanted deep in my infant subconscious a worldview, an idea of justice and the desire to wield a light saber, all entangling as I grew older with the Bicentennial celebrating the American Revolution, another story of scrappy rebels fighting a mighty empire. “Star Wars” managed a remarkable trick. Two years after the fall of Saigon and America’s withdrawal in defeat from a dishonorable war, Mr. Lucas’s Wagnerian space opera recast for Americans the mythic story so central to our sense of ourselves as a nation. In this story, war is a terrible thing we do only because we have to. In this story, the violence of war has a power that unifies and enlightens. In this story, war is how we show ourselves that we’re heroes. Whom we’re fighting against or why doesn’t matter as much as the violence itself, our stoic willingness to shed blood, the promise that it might renew the body politic. The literary historian Richard Slotkin called this story “the myth of regeneration through violence,” and he traces it from the earliest Indian captivity narratives through the golden age of the western, and it’s the same story we often tell ourselves today. It’s a story about how violence makes us American. It’s a story about how violence makes us good. 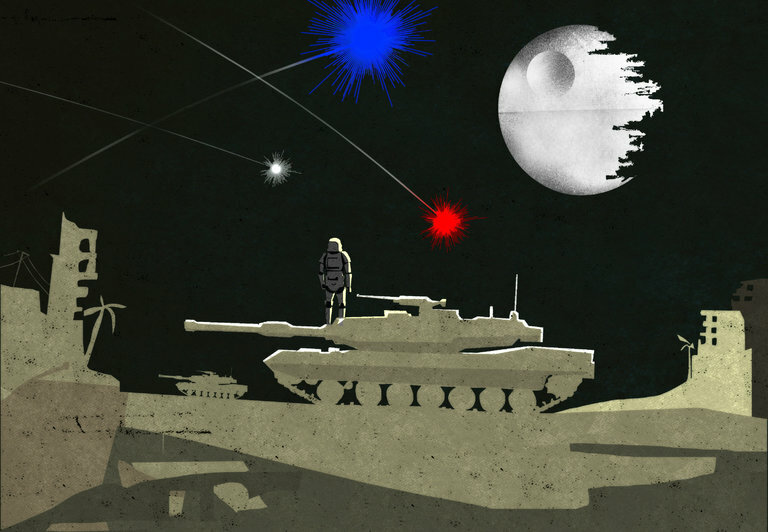 Looking out over Baghdad on the Fourth of July, I saw the truth that story obscured and inverted: I was the faceless storm trooper, and the scrappy rebels were the Iraqis. Did it really take going to Baghdad to learn this? Hadn’t I read about the campaigns against the Cherokee, Nez Percé and Sioux, the long war against Philippine independence, and the horrors of Vietnam? My grandfather served on a Swift boat in the Mekong Delta at the end of his military service, though he never talked about it; hadn’t trying to fill in his silence taught me about free-fire zones, My Lai and hospitals full of napalmed orphans? The bloody track of American history, from slavery to genocide to empire, is plain for all to see. But reckoning with the violence itself was the appeal: I thought I could confront our dark side, just like Luke Skywalker, and come away enlightened. Veterans and pundits often talk about the military-civilian gap. So few Americans serve, they say, that most of the nation doesn’t have any sense of what that service means. This is superficially true. The military is a professional subculture with its own rituals, traditions and jargon. There’s a military-civilian gap just as there’s a police-civilian gap, an oil rigger-civilian gap, a barista-civilian gap. But that’s not what these vets and pundits mean. What they’re really claiming is that veterans know something civilians don’t understand or can’t imagine, and that this failure of imagination is a failure of democracy, a failure of dialogue, a failure to listen. What they mean is that veterans have learned something special through their encounter with violence, and civilians need to hear that sacred knowledge. This is where talk about the “military-civilian gap” goes awry. The truth is, most Americans understand what our soldiers do very well: They understand that American troops are sent overseas to defend American political and economic interests, wreak vengeance on those who have wronged us, and hunt down our enemies and kill them. There is no gap there. The American military has a job, and most of us, on some level, understand exactly what that job is. The American soldier or Marine is an agent of American state power. The real gap is between the fantasy of American heroism and the reality of what the American military does, between the myth of violence and the truth of war. The real gap is between our subconscious belief that righteous violence can redeem us, even ennoble us, and the chastening truth that violence debases and corrupts. That’s not how things would turn out, as wiser heads warned at the time, but in the frightened months after Sept. 11, the myth of violence was more powerful than the truth of war. As an American soldier in Iraq, I was both caught up in that myth and released from it: I could see what “the work of peace” really looked like, what American violence did to Iraqi homes and bodies, yet it remained my job to be an agent of that violence — a violence that neither redeemed nor enlightened. On this Fourth of July, while American violence continues to rain down on Iraq, Syria, Afghanistan, Pakistan and Yemen, as we continue to support violent regimes in Saudi Arabia, Nigeria, Equatorial Guinea and elsewhere by buying oil that we then burn and dump into the atmosphere, precipitously heating the planet, and amid a crucial presidential election, we should ask ourselves what we’re really celebrating with our bottle rockets and sparklers. There is another version of America beyond the noise our fireworks make: not military strength, but the deliberate commitment to collective self-determination. Perhaps this Fourth of July we could commemorate that. Instead of celebrating American violence, we might celebrate our Declaration of Independence and Constitution, and the ideals those documents invoke of an educated citizenry deciding its fate not through war but through civil disagreement. Instead of honoring our troops, whose chief virtues are obedience and aggressiveness, we could honor our great dissenters and conscientious objectors. And instead of blowing things up, maybe we could try building something. It’s our choice. We make our myths. We show by our actions what our holy days mean. Forty years after the American Bicentennial, 13 years after I stood on a rooftop in Baghdad, and 10 years after getting out of the Army, I won’t be out under the fire, cheering our explosions. I won’t be watching “Star Wars” either. My America isn’t an empire or a rebellion, but an ideal; it’s not a conquest, nor a liberation, but a commitment.